Would have given 5 for service, but there are only two checkouts. Been to all the local spots and this place by far has the best quality and price. Thanks for the kind words Flash! We take pride in our quality.... amazing prices on the freshest harvests. Look for some store updates soon to improve your showroom experience! Run by a senile old woman and creepy middle aged bald guy. The combination results in pricing incompetence, borderline inappropriate friendliness, and the feeling you've been duped but you're not sure how. If you've ever had to visit a grandparent with kleptomania and dementia while dodging that one uncle that seems a little too fond of awkwardly long hugs, you'll know what I mean. I don't know what to say SdMcWeed.... I would have loved to be a fly on the wall for that transaction! We love our coastal community and strive to bring them the freshest and highest quality cannabis. Our menu prices are listed with tax included to clear up any pricing confusion. Stop by again and let us change your mind! I've only visited twice but I try to get there whenever I hike Cape Perpetua. Their product is excellent with some unique strains I've never heard of. Great Buds!! Also, awesome artwork on the outside of the building. Stop here for some pre-Perpetua smoke if you're passing through Waldport. What an amazing view it is up on Cape Perpetua... Thanks for stopping by! We are the first stop for many on their coastal adventures. 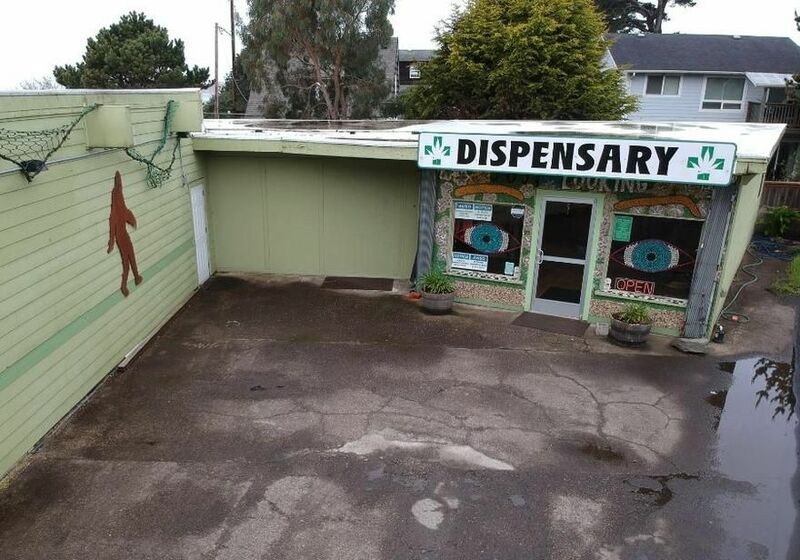 Our quirky building has been a local favorite for years.....artistic with stellar cannabis! Very informed and knowledgeable staff. They are all awesome poeple too!! I avoid negativity, especially in my cannabis purchases. Usually observing "if you can't say something nice don't say it at all" rule. Until now, I have been very patient with this store, given it more than one chance but the worm in this apple doesn't go away. In the past year, the owner/manager (?) has been consistently rude not only to me but to my friends. Sorry, but you will never again get my money. It's the best shop out of the three in Waldport. A local, family owned place. Friendly employees and a good variety of flower, edibles, clones and concentrates.